Sorin was born and raised in Bucharest, Romania. He graduated the Politehnica University in Bucharest, with a Master’s degree in Computer Science and Industrial Automation. He taught at the Ronald S. Lauder School in Bucharest and became the National Coordinator for the Talmud Torah Hebrew School Program at the Federation of Jewish Communities in Romania. At the Federation, Sorin worked towards the establishment of the Pedagogical Center in Bucharest and edited various religious and Jewish educational materials, including a fully translated and transliterated Siddur, as well as Haggadah, Megilah and holiday guide books. 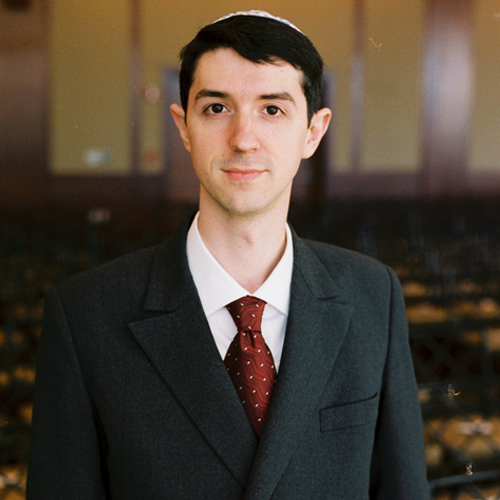 Upon his graduation from YCT, Sorin was appointed Head Rabbi of Romania. During his rabbinic tenure, he was involved in all areas of Jewish life, coordinating nation-wide Jewish education programs, summer camps, performing kosher supervision, teaching comprehensive pre-conversion to Judaism classes, as well as representing the Jewish community to the government and other faiths. He also served as the Rabbi of the Jewish Community in Bucharest, and officiated at lifecycle and commemorative events throughout the country. In 2011, Sorin moved to Canada with his family. He is currently working in educational technology at the Hebrew Academy of Montreal, a K-11 Modern Orthodox Jewish day school.